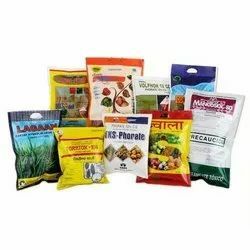 Pioneers in the industry, we offer aluminum foil laminated pouches, jumbo aluminum foil laminated bag, laminated printed pouches and aluminum foil laminated printed pouches from India. 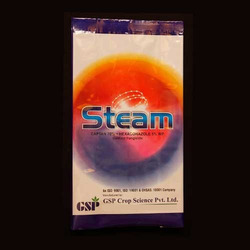 As per the variegated requirements of our clients, we are offering Aluminum Foil Laminated Bags. 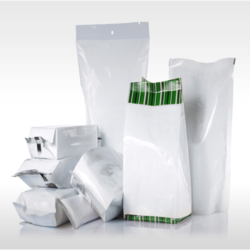 Demanded to owe to its high barrier properties & moisture vapor resistance, our offered laminated bags are checked at our end so as to deliver a flawless range. These laminated bags can also be customized by our workforce as per the market need. Offered laminated bags are manufactured by using quality approved material and advanced techniques. Minimum order value should be 100000. We offer Jumbo Aluminum Foil Laminated Bag, which is suitable for various products like compounded additives like XLPE cable coating, concentrated soft drink powder, pharmaceutical powder, and dairy products due to its high barrier properties and moisture vapor resistance. 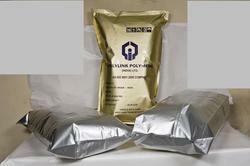 The bags can be availed with or without gusset & k seal. We are an eminent entity engaged in offering an extensive range of Aluminum Foil Laminated Printed Pouches which can be availed in multi-colored printings. These printed pouches are manufactured by our workforce using high-grade material and advanced techniques in accordance with the quality standards. Also, our printed pouches undergo various tests by quality controllers to assure its flawlessness.